The cornerback drills on this page are "advanced" because they require more change of direction and greater aglilty than more basic drills. These drills help you to work on covering "double routes", or routes where receivers make more than one move when they break into the route. Practicing these cornerback drills will ensure that when receivers try to fool you with double moves, you can quickly and comfortably REACT and keep them blanketed. This route can also be called a "stop-n-go." Basically the receiver is gonna drive at you, then break down and try to "sell" you the hitch. When you begin to break toward him, he'll accelerate again and try beat you down field. Make sure you are reading the receiver and not the quarterback. If you don't see the second move because you're peeking into the backfield, it's not gonna be pretty. Be sure to break toward his outside (break-side) shoulder, so that when he does turn up to go, you can collision him or turn and run with him and recover on the route. Click here for A Great Deal on Agility Cones!!! For this DB drill, you want to basically perform it the same as the hitch break, but instead of driving all 10 yards back to the line, you'll drive halfway, then break down, drive your forward leg up and over, and burst in a 180-degree turn and for ten yards. This drill is for covering the Q-route, as I like to call it (but it is also called a whip-route). While running this route, a receiver will try to sell the slant or arrow to you. Then he'll quickly break down, turn around like he's running a hitch or a slant, and cut flat in the other direction. This route requires great agility and a quick reaction because you will be break hard on the slant to not give up the inside release. Since you're leveraged inside on the slant, you'll be at a slight disadvantage if you don't read his hips and react quickly enough. So you want to hurry and get on on the receiver's hip when he whips back out. Keeping your eyes on the receiver is very important here. This is a hard route to cover for many defensive backs simply because they break hard on the arrow or slant and began to look into the backfield for the ball. So keeping your eyes on the receiver will help to keep you in good position. For this drill, you want to backpedal for five to ten yards and then break at a 45-degree angle like you're breaking on a slant. When you get to the next five-yard line break down and cut straight across that line in opposite direction. This route is similar to the Q-route, except that instead of running an arrow and dipping back to the inside, the receiver runs an out and dips back inside. For this drill, you should backpedal 5-10yds, break 5yds on the out, change directions and burst 10yds in the opposite direction. This drill will help you cover the "out-n-up" route, when a receiver sells you the out and then breaks up field for a deep one. To perform this drill, add a 10-yard vertical burst to your 10-yard 90-degree burst in the out-break drill. The next two defensive back drills, speed turns and slow turns, are for covering the post-corner route. This is a double route where the receiver will try to get you to bite on the post and then break toward the corner. For the speed turn drill, you want to do everything the same as the post, but instead of bursting for 10yds, burst for five. Then you swing your outside arm around and spin toward the corner and then burst for 10 yards. Slow turns a.k.a. "Zone Turns" are also for covering the post-corner route, but slow turns are a bit different. Some coaches believe speed turns make you lose your perspective on the play by taking your eyes off of it. They believe slow turns keep your eyes on the play, therefore putting you in a better position to make a play on the ball. I was taught to speed turn, because it is faster and helps you to get on top of the route. But, if you can learn to more quickly use slow turns, you will be even greater for it. So it will do you good to add slow turns into your cornerback drills. In this drill, instead of spinning around toward the corner, you will change directions by turning your hips inside, attempting to cut the receiver off from the route. The hip flip drills are a bit longer than the other cornerback drills and are designed to loosen your hips, getting you more comfortable with turning and opening your hips when you play. For this drill you want to start off in a backpedal and every 5yds flip (or pivot) to the left or right, while still moving in a straight line. After flipping your hips at least 3 times (or 15yds), plant and break back on the side you've opened up to at a 45-degree angle.You can perform this drill on the hash marks to keep yourself straight. This drill is the same as the Hip Flips to 45, except that instead of breaking toward the side you've opened to, you'll break back in the opposite direction at a 315 degree angle. It almost looks like a speed turn. The following long DB drills are intended to help you keep solid defensive back technique even when you're tired. This is also known as technical endurance. Because they are slower, longer drills, they can also serve as starter drills when you are beginning your training program and help you build a base of endurance. 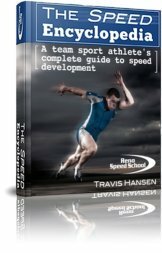 They shouldn't be performed on the same day as the short, explosive cornerback drills explained earlier, because they are for defensive back technique and endurance (technical endurance), not so much for speed. The box drill is series of freestyle breaks in a 5yd-by-5yd box. You can choose pretty much any of the breaks from the basic drills and some from the advanced cornerback drills. You can practice on your quick-step and bail technique also. Because this drill is meant to develop endurance as well as techniuqe and agility, you want to break at least 10 times. Make sure you work on your technique and stay low. A weave is a side-to-side backpedal, which you perform while still keeping yourself square with the line of scrimmage. Weaving is mostly used when receivers try to stem, or gain leverage on you, so that you can keep your leverage. This drill is intended to increase your comfort and skill with weaving. For this drill, you want to start at the goal line and weave at least 5yds wide for 100yds all the way down to the other goal line. If you feel like you can't last that long, try cutting it down to 75 or 50yds and build up to it 100yds. You can also start at a slow and steady pace and increase it over time. The goal is to be able to weave fast or slow, comfortably, at an extended length. This drill is basically a long series of zig zags, or speed turns. For this drill you'll set up two sets of cones, every 5yrds, down the length of the field. Starting down at one end, you cut diagonally every 5yds down the length of the field. This drill is basically a long series of slow turns. This drill is the same as the long slalom, except this time you slow turn every 5yrds, down the length of the field. Just like the long weave drill, both the long slalom and long slow turn drills can be shortened if 100yds is too much. If you've played cornerback before, you've probably done a drill with your team called the "W" drill, and you might be asking why I didn't include it. The quick answer is because there is no "W" route, and therefore backpedaling and breaking twice or more times in one play/drill isn't practical, unless you're trying to develop your technique or endurance. Football is a series of explosive movements. Remember, no fluff drills. Its best to do football training drills that mimic what your gonna do in a game. If you want to work on technical endurance and versatility, the long DB drills, especially the box drill, are enough. But if you feel the need to do the "W", be my guest. So that's it for the cornerback drills. Like I said, perform these consistently over time and your cover skills will increase dramatically. These movements will be "burned" into your muscle memory and become second nature to you when making breaks, so you can take that pick to the house!